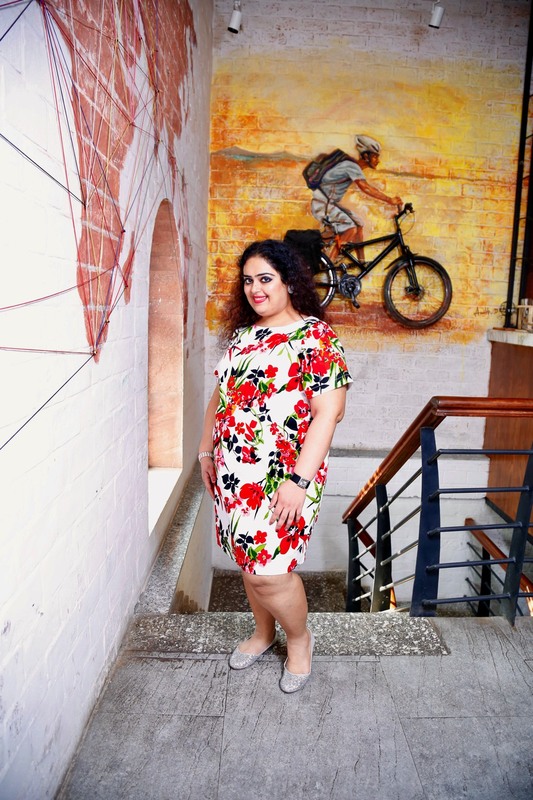 Being in plus size and always want to fit in the most loved jeans maybe your favourite one which has become tight and become the talk topic of the house trying to adjust to your figure flaws or body shaming, embarrassed & helpless scrutinizing sizes at the clothes store for the perfect fit but still you feel as if you were feather light & thin and for a food blogger like me who just cannot diet, life is not easy but full of fat bubbles & weight that comes with dozens & oodles adding that extra inch to my size. 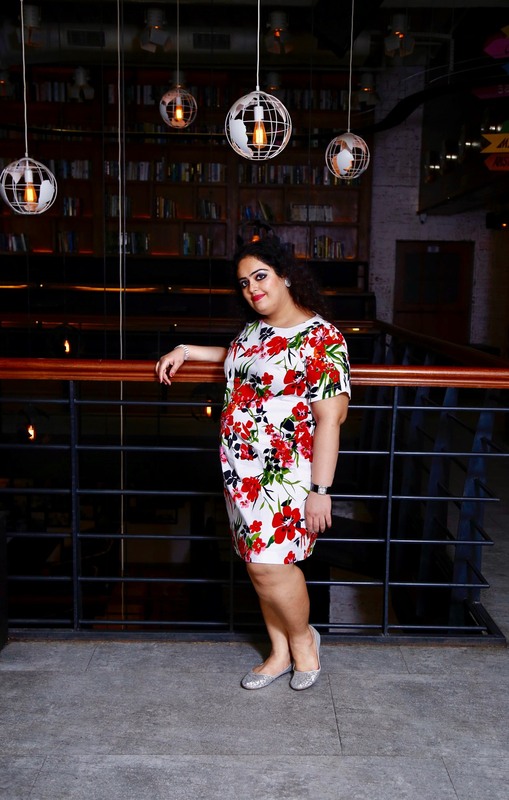 So here is LASTINCH, a plus size online western clothing brand in India that has clothing for women from sizes UK 14 to UK 30 (M-7XL). When I saw the catalogue I just couldn’t believe my eyes as the colours, designs, look and patterns were all breathtaking and also so affordable! 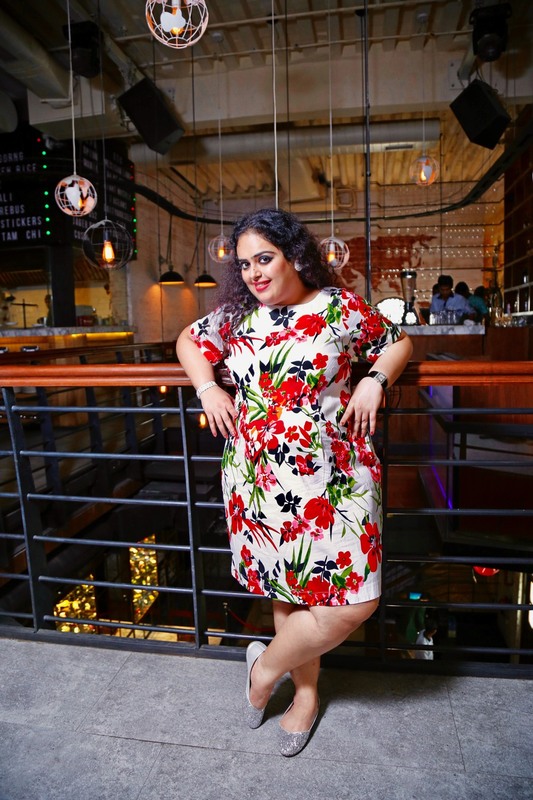 Lastinch initially started with basics like tops/tunics, shirts, dresses and jackets but has now introduced new range of shrugs, gowns, joggers, trousers, jeans, shorts and bags. 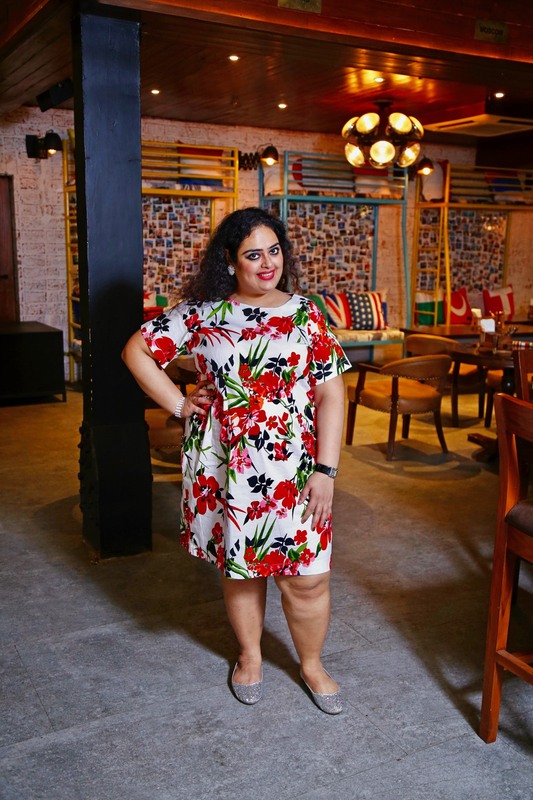 What I did was style my Multicolor Floral Print Shift Dress with some confidence, a silver touch & a lovely smile just light for the trendy & international style which Lastinch is famous for. The material is really stretchy and comfortable and it comes with a zipper opening at the back. 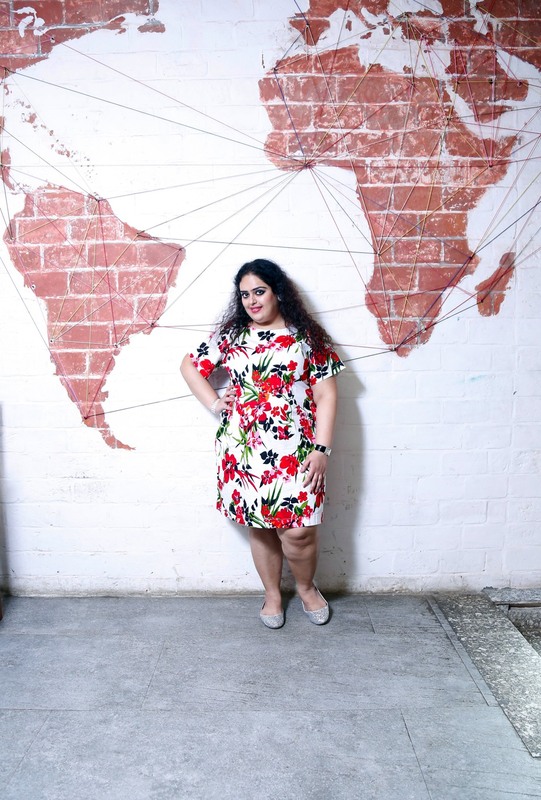 I come with extra inches, different from the leggy lasses and I believe happiness comes from within and if you are comfortable in your skin that reflects on the outside as well as in your health & spirits so not to fret those plus size ones finding an escape & wanting to dream & fly. Just see what Lastinch has in store for you! The clothes are so classy, stylish & finished with a comfort factor being the main & important thing for all the fat people as Lastinch comes in a dose of class as everything from a dress to jeans you pick is uniquely styled & contours you well in shape, snugly fits on you like a bubble, you feel happy & when you dress in style, you sure love lots of envious eyes. Lastinch is for the full figured woman who faces the world with her feminity & grace walking proud as a woman of substance in silhouettes & drapes, no more feeling shy or ashamed to hide herself behind the closet or not wanting to upset the mirror. She stands tall and fearless and yes her roar of confidence ruling her stride of being an important woman not forgetting the enemies in her life. She is here to conquer the world of innocence revealing her flaws with pride & dignity all that she posseses beholding her inner charm & grace and letting her hair down. She just has the world below her big feet, not to make fun but to praise her for she is someone who looks perfect in a dress with only confidence that lusters her magical charm & embrace of being no one but herself, not moaning in agony or pain for she knows she is beyond special. Lastinch you make feel blessed & loved inch by inch, you make me proud of who I am today and forget my pains & frets of fighting every single day with the flaws draped gracefully & beautifully. I can only smile & caress the body I am in and yes the envelope the dress or the comfortable piece I am in by all love & grace. OMG I love your dress! The cut is simple and have those popping prints! Cute dress! Love the prints on it. That dress looks like it was made for you! Also if I’m ever in New Delhi, I’ll have to check that cute little bar/restaurant you’re in out! It looks like a fun spot!